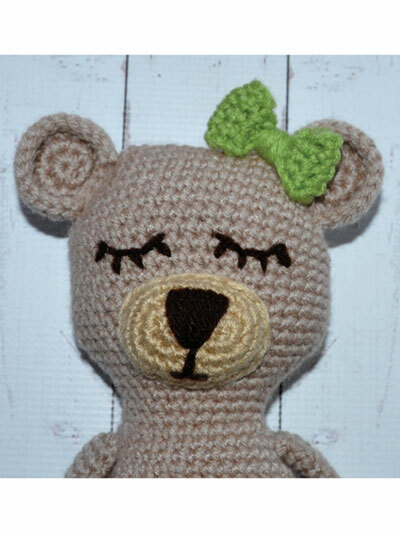 5 adorable patterns. Make 1 or all 4 coordinating designs! 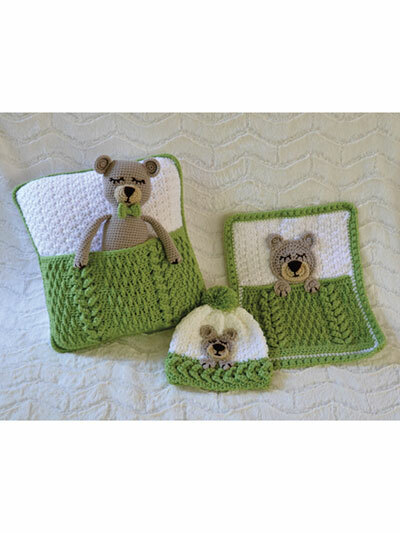 The Sleep Tight Teddy Bear set includes a blanket, lovey, stuffed animal, a hat and a pillow pocket. 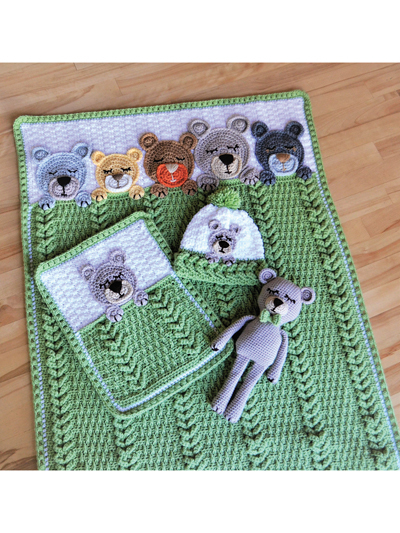 The entire set features a beautiful combination of stitches that are full of texture only to be accentuated with an adorable teddy bear(s). 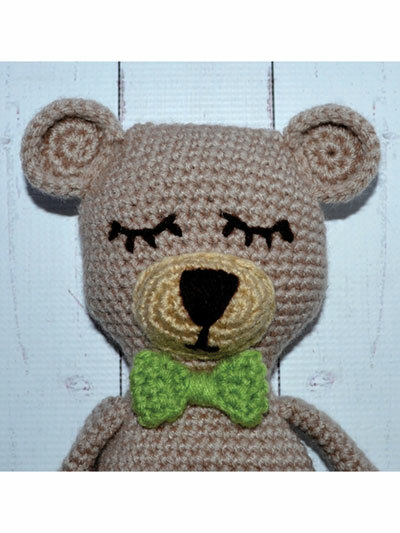 Each design is made using worsted-weight yarn and is purchased individually. 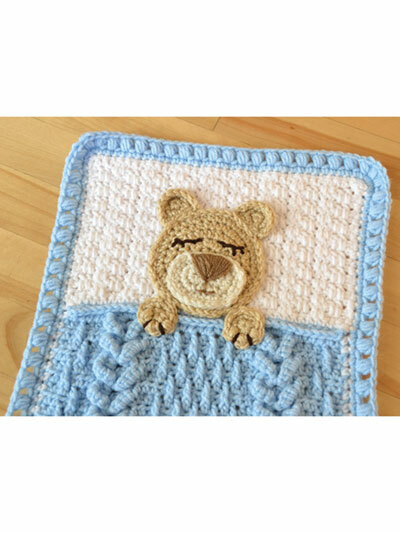 Made for a baby shower and the crowd went wild. 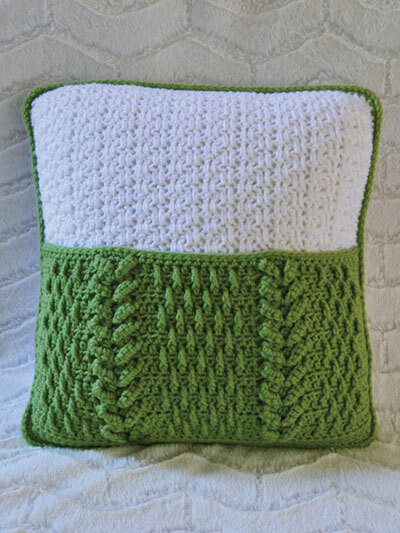 Watch the video if you need help for the cable stitch used, it is somewhat confusing to read, but if you watch the video it is very easy to do. 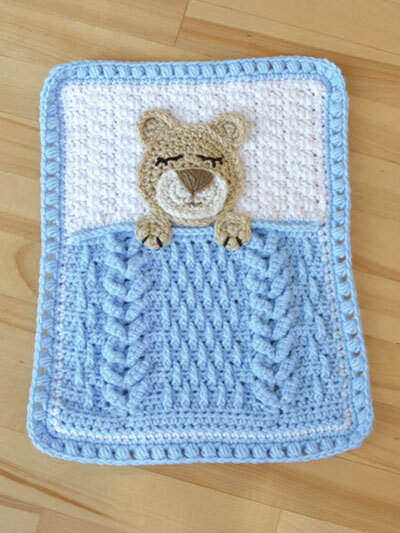 Beautiful blanket and different from others you ususally see. 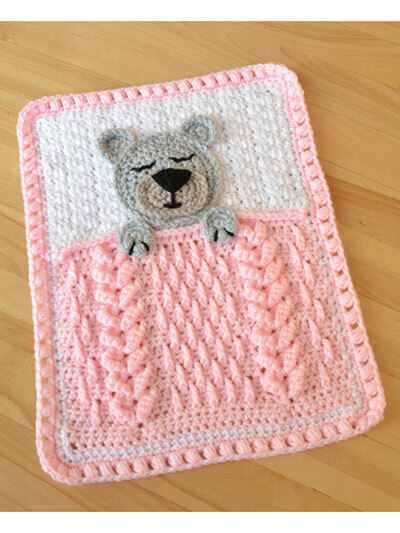 Really enjoyed making this blanket and I am starting another one in pink to have on hand. First one made in blue. A wonderful, fun pattern. Well written and loved by all I've given it to. Thank you. 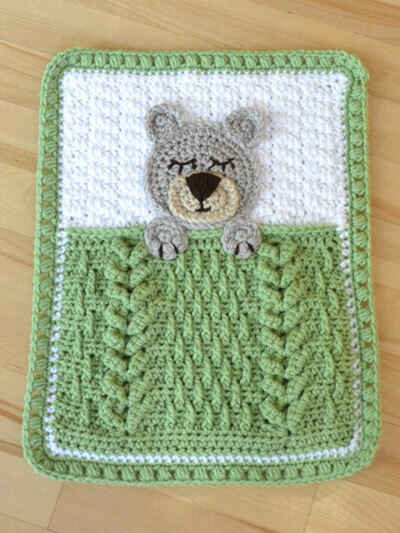 I am considering ordering the Sleep Tight Teddy Bear Blanket. It looks very cute. I read the reviews and noted several people commented that watching the video helped them to better understand the written directions. I don't see a link to the video anywhere. Is this something you get access to after you place your download order? I would appreciate it if anyone would take the time to help me with this. Thanks. 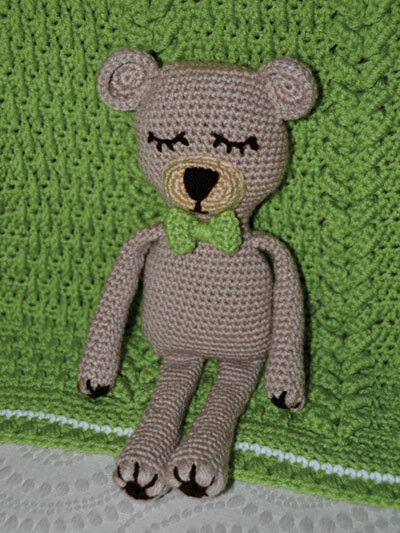 Frederick - Hello, you can find the video for the special stitch used in the pattern on YouTube.com. Here is a link to it https://www.youtube.com/watch?v=76yVSiO0b44&t=237s. 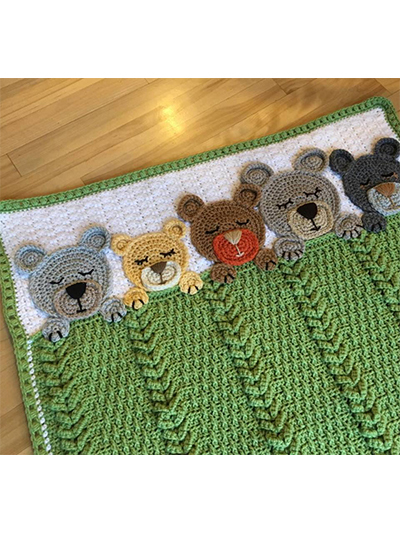 Once I mastered the stitches by watching the videos and exchanging some e-mails with the designer (who was most helpful and kind), I've sped through 2 quilts and several of the loveys using different colors. My only creative addition is that I put a little bit of stuffing in the heads so they puff up a little to give them a bit of dimension. Cute, cute, cute. 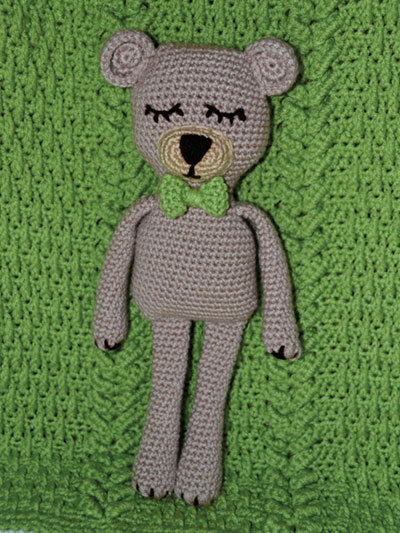 Another darling pattern. This is my next project. Will be using different colors for mine though.